Americas Payday Advance is a finical service providing organization. The company actually offers payday loans to individual people. Payday loans are offered here in less time and the company does not conduct typical background checking to offer services. 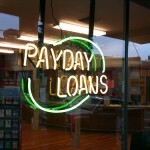 Even bad credit borrowers can avail payday loans from this organization. This is a fully owned organization offering service in different US states, along with Los Angeles. Short term loans are offered here to help people get rid of temporary financial distress. Borrowers need to provide some personal detail only to avail loan from the organization. Approximately 1,500 professionals are working in this company who are offering financial services. There are currently 0 consumer reviews about Americas Payday Advance available. Share your review. Please take a note that you are about to post a public review about Americas Payday Advance corporate office on CorporateOffice.com. This review will be public, so please do not post any of your personal information on this website. If you would like to contact the corporate offices of Americas Payday Advance, please use their contact information such as their phone number, website, and address listed above to contact them. However, sometimes staff from Americas Payday Advance headquarters do read the reviews on this website.